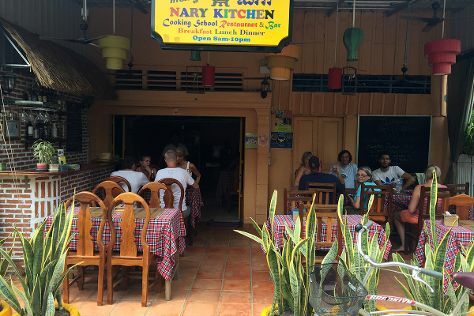 Start off your visit on the 12th (Sat): Head underground at Battambang Bat Caves and then learn the tricks of the trade with Nary Kitchen. On the next day, steep yourself in history at Wat Banan Temple, then contemplate in the serene atmosphere at Kampong Pil Pagoda, and then see the top attractions with Sightseeing Tours. To see traveler tips, other places to visit, ratings, and more tourist information, read our Battambang trip itinerary builder app . Expect a daytime high around 28°C in January, and nighttime lows around 26°C. Finish your sightseeing early on the 13th (Sun) to allow enough time to travel back home.